Have you ever fancied challenging yourself and helping your favourite animal at the same time? That’s just what a number of cat lovers and supporters are doing by embarking on gruelling runs to raise funds for Cats Protection. 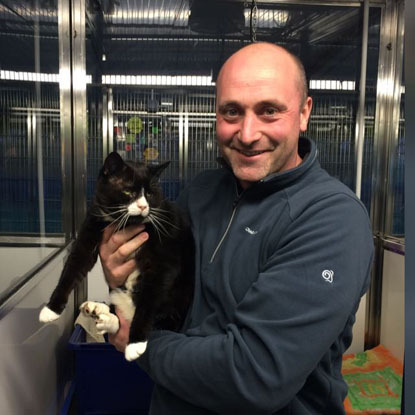 Chelmsford & District Adoption Centre supporter Pat Mackshea has found an unlikely training companion for the London Marathon in long stay cat Thomas O’Malley. While visiting the adoption centre to work on a fundraising campaign to reach his £1,500 target, Pat was introduced to Thomas. Thomas has had four eye operations for an entropion, (ingrowing eyelashes) and has gained weight during his stay with the centre due to the sedentary nature of his current lifestyle. While Pat’s goal is to complete the 26.2 miles in under five hours, Thomas’ aim has been to slim down from his 6.25 kg frame to an eventual 4.69 kg, over a period of 32 weeks. Both Pat and Tom have been following a careful meal plan (although Pat’s wasn’t designed by a vet nurse) and exercise plan (fishing rod toys and ping pong balls feature more heavily for Tom). If you would like to help Pat (and Thomas!) meet their targets, please visit www.justgiving.com/Pat-Mackshea or text PATM75 £ (followed by the amount you wish to donate) to 70070. Leeds-based supporter Jo Doughty has challenged herself to run 100 competitive kilometres for Cats Protection throughout 2016. She’s already undertaken four running challenges and has signed up for a number of other runs through the year including a Manchester half marathon in October. “As a huge cat lover I'd really like to spend the year raising money and awareness for Cats Protection,” Jo said. Jo is writing a blog to track her journey and welcomes anyone who would like to join her while she’s training to do so and is open to suggestions on further runs she can tackle. Meanwhile, Will Geddes bravely took part for a second time in the recent Marathon des Sables which is known as ‘the toughest ultra-marathon on Earth’ – despite having a painful foot condition. It is a five-stage, 254-kilometre race through one of the world’s most formidable landscapes and climates, the Sahara desert. The race requires competitors to be self-sufficient, carrying with them everything except water that they will need to survive. Unfortunately Will’s condition meant he was unable to finish the event this time, but he still gave his all and we are very grateful. Ahead of the race, Will, who works within the security industry said: “I am delighted to be fundraising for Cats Protection. It has come as a surprise to many people in my ‘industry’ as I’d be normally more likely associated to some military-related charity, but considering that probably 80 per cent of those participating in this event are from that background and very probably raising for them, I thought it was only right to raise for a cause close to my heart (especially as a proud father of two Bengals)”. 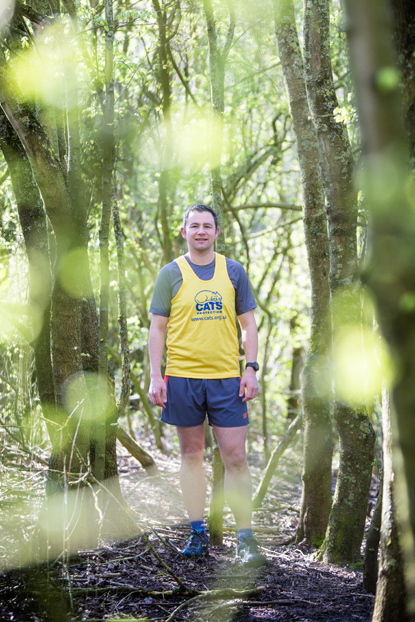 Like Pat, Richard is running the London Marathon on 24 April and raising money for Cats Protection in the process. He is also taking part in the Man vs Mountain event in September, which involves running from Caernarfon in North Wales to the summit of Snowdon and then on to Llanberris, covering 20 miles. Richard’s donations will help the cats in the care of our Birmingham Adoption Centre. Richard said: “I'm definitely a cat person, you could probably say I'm crazy about them! This is one of the reasons that I have chosen to raise funds for Cats Protection. We totally have lots of walking options, check out the treks on our events list www.cats.org.uk :) Every distance is possible, or email me if you have your own idea for a walk.